These vendors graciously provide MMTC members with discounts at the register! 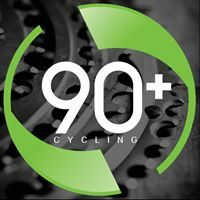 90+ Cycling is a full service bicycle shop and training center. We offer quality service and performance parts for avid cyclists and racers of all levels. If you purchase any 12 or 24 pack of indoor cycling classes or cross training classes you can get unlimited classes for the month of December. 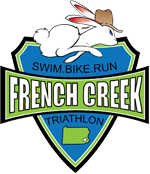 Team discount code Log-In required is your code [Jan 1st thru Apr 30th] gives you $10 off Luray Triathlon (not valid on Swim Fest Luray) and can be use unlimited times. 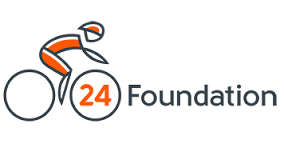 Team discount code Log-In required is your code [May 1st thru Aug 16th] gives you $20 off Luray Triathlon (not valid on Swim Fest Luray) and can be use unlimited times. 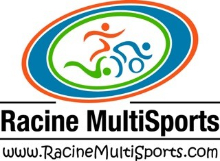 Team discount code Log-In required is your code [Jan 1st] is good for 10% off any 2018 Racine MultiSports event. (Use this code for Swim Fest Luray as it will not be included on the Luray Tri codes) and can be use unlimited times. Enter the code exactly as it appears in the Discount Code field, this is not an Invitation Code. Your team discount codes Log-In required this is your code that will give you 10% off any 2018 Rip It Event and can be used unlimited times. Your team discount codes Log-In required this is your code that will give you 10% off any 2018 event and can be used unlimited times. Just mentions that you are a MMTC member and get a 10% discount on your order. Base Performance products. The one time discount code to save 10% is Log-In required. College Park Bicycles gives a 5% discount on bikes and 10% discount on merchandise. These discounts do not apply to service and repair. Get a 20% DISCOUNT off your purchase. You can only buy ENERGYbits® online at www.energybits.com. When you check out, just enter discount code Log-In required into the coupon box and your discount will immediately show up and works on all their products. At INFINIT Nutrition, our commitment is to develop products that help customers perform and feel better through all-natural, isotonic high powered custom-blended nutrition solutions. We dedicate ourselves to customized product development for athletes resulting in unparalleled performance and professional partnerships. Use coupon code: Log-In required for a 10% discount. Your RŌKA discount code for swim products:Log-In required is live now through the end of the year. This will give you 25% off on swim products, such as wetsuits, swimskins, swimwear, and swim equipment. Your RŌKA discount code for cycling products:Log-In required is live now through the end of the year. This will give you 20% off cycling products. These codes are used when ordering from our website, www.rokasports.com. We ask that you're discreet with the discount code and refrain from sharing it with non-club members Please do not ask retailers to match your team discount. Please note that the code is not active during a site wide sale and you cannot combine your team code with any other discount. Members, please log in now to the see the coupon code! Members, please log in now to the see the discount code! Need to rent a wetsuit? 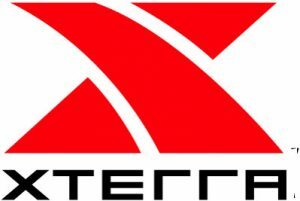 Visit wetsuitrental.com to get a $10 discount on any adult triathlon wetsuit rental. This content is for Individual, Family, Student, 140 pt 6, 70 pt 3, Olympic and Military (Active Duty) members only.